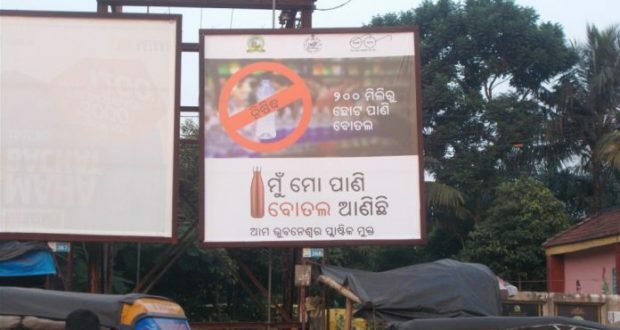 Bhubaneswar:22/10/18 :The Bhubaneswar Municipal Corporation (BMC) has initiated a campaign in Odia against plastic by placing hoardings at prime locations of the city. Two radio jingles are also aired through three FM stations to spread the message on the hazardous effect of the plastic use. The campaign is aimed at making the Capital City free from plastic/polythene speaks about bringing own tiffin boxes, bottles and bags to minimise the burden of plastic on the earth as the non-biodegradable substances have created a threat for human and animal lives and the fertility of the soil is going down.